As we suggested in the introduction to this week’s post, Dickinson was profoundly affected by contemporary cultural attitudes about women of genius. 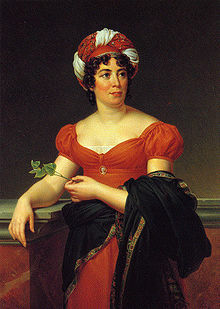 In her essay, “A Damned Mob of Corinnes: Hawthorne and the Daughters of de Staël,” Renée Bergland reviews the history of these attitudes in relation to Madame de Stael’s popular novel, Corinne, about a dark and passionate female poet who loses her gift and pines away when the English lord she loves marries her blonde, bland and modest sister. The period of 1850-1860 was “the crucial decade” when anxiety about the figure of Corinne reached a fever pitch and turned. 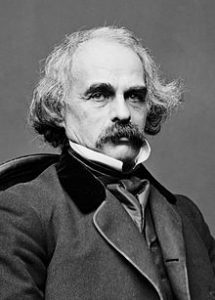 It was in 1855 that Nathaniel Hawthorne famously wrote to his publisher, William Ticknor, castigating that “d—-d mob of scribbling women,” who were outselling male writers. 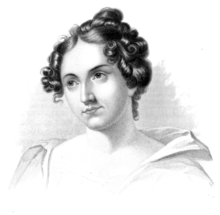 And though Hawthorne admired the writing of many contemporary women, like Grace Greenwood, Fanny Fern, and Julia Ward Howe, he compared women’s publication of their works to “prostitution.” Others shared his feelings. 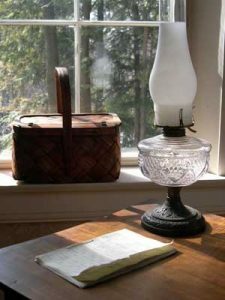 The poems we have chosen for this week meditate on issues of fame, freedom, despair in love and marriage, misunderstanding, and isolation, all of the obstacles facing women of genius in 1862. Bergland, Renée. “A Damned Mob of Corinnes: Hawthorne and the Daughters of de Staël,” Nathaniel Hawthorne Review 42.1 (Spring 2016): 95-120.